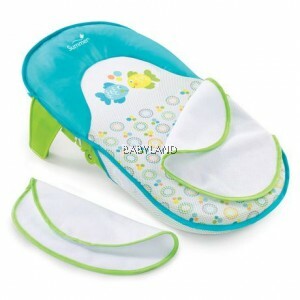 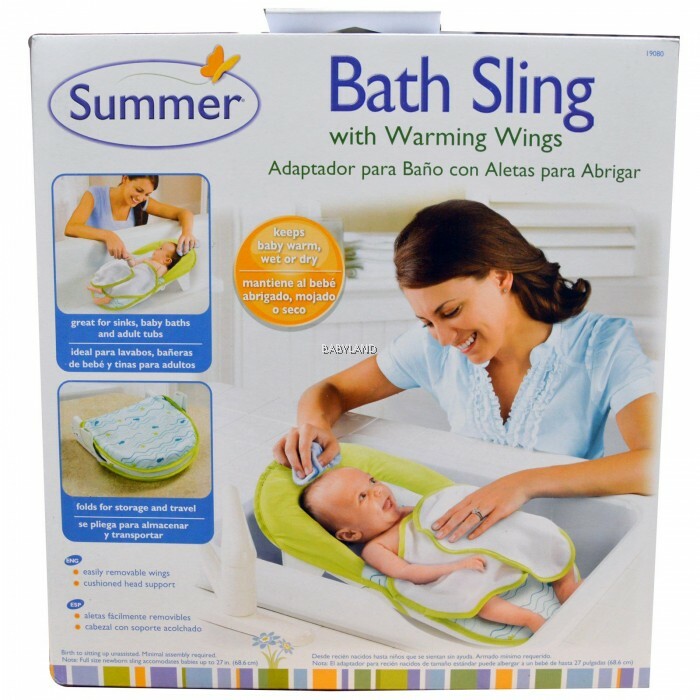 The Summer Infant Folding Bath Sling with Warming Wings keeps baby warm and comfortable during bath time. 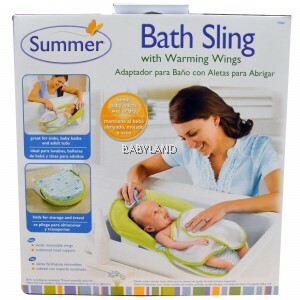 The warming wings can be used wet or dry. 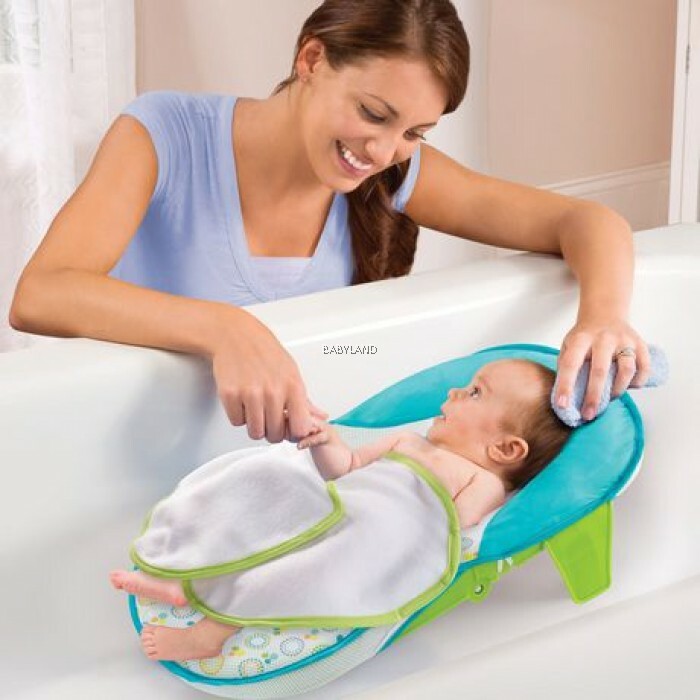 The Bath Sling folds compact for easy storage and can be used in a sink, baby tub, or an adult tub. 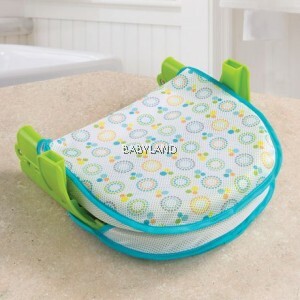 The sturdy base keeps baby secure, while the built-in headrest keeps your little one cradled and supported. For infants 0 months until sitting up unassisted.